As the principal of Get Ink Public Relations, Ellen Marchman expertise runs deep with luxury hospitality clientele including Soho Beach House, Kimpton Hotels and Restaurant Group and Miami Boutique Hotels; wellness and lifestyle such as Exhale Spa, Cowshed Spa, Modern Om, Pura Vida Fitness Club and Spa, and Vita Coco. Her passion for culinary talent and fresh approach to healthy dining are evident in the representation of sustainable seafood superstar Area 31 at EPIC Hotel, modern Italian at Cecconi’s at Soho Beach House and whole food-plant based passion at Temple Kitchen in Miami, as well as Sushi Den and Izakaya Den, who have delivered pristine seafood directly from Japan for 30 years in Denver, CO.
With over 20 years in the public relations industry, Ellen has a savvy knowledge of culture and demographics and maintains trusted public relations partners nationally. She contributes regularly to national design and fitness publications and enjoys being a part of the executive committee for the Friends of New World Symphony and the Production Industry Council of Miami Beach. Ellen received the lifetime achievement of “Women in Excellence” award from the National Association of Professional & Executive Women. Prior to Miami, Ellen was an account supervisor with a top Los Angeles public relations firm, which allowed her to acquire extensive experience with such clients as Bombay Sapphire Gin, Macallans, Campari, and Remy Martin. During her tenure she represented upscale restaurants including Mr. Chow Beverly Hills, Ben Ford’s Chadwick in Beverly Hills, and Pino Luongo’s Coco Pazzo at Ian Schrager’s Mondrian Hotel. She has implemented numerous public relations campaigns and community partnerships for companies such as Baja Fresh, California Pizza Kitchen, Einstein Bros. Bagels, Jamba Juice, Starbucks Coffee and Whole Foods Market. She also has in-depth production experience in the film and music industry via positions with the Radio Music Awards, Palm Springs Film Festival, Sundance Film Festival and SAG Awards. Ellen grew up in Santa Fe, NM where she developed a deep appreciation for art, history and culture. Her grandfather was the Governor of New Mexico, and her first professional position was with the Santa Fe School of Cooking, which influenced her greatly and helped develop her passion for food and wine. Jill Hodges is Get Ink PR’s go-to girl when it comes to brand strategy, creative direction and graphic design. Jill’s design roots started in the “dot com” craze as a senior designer for a national magazine conglomerate. 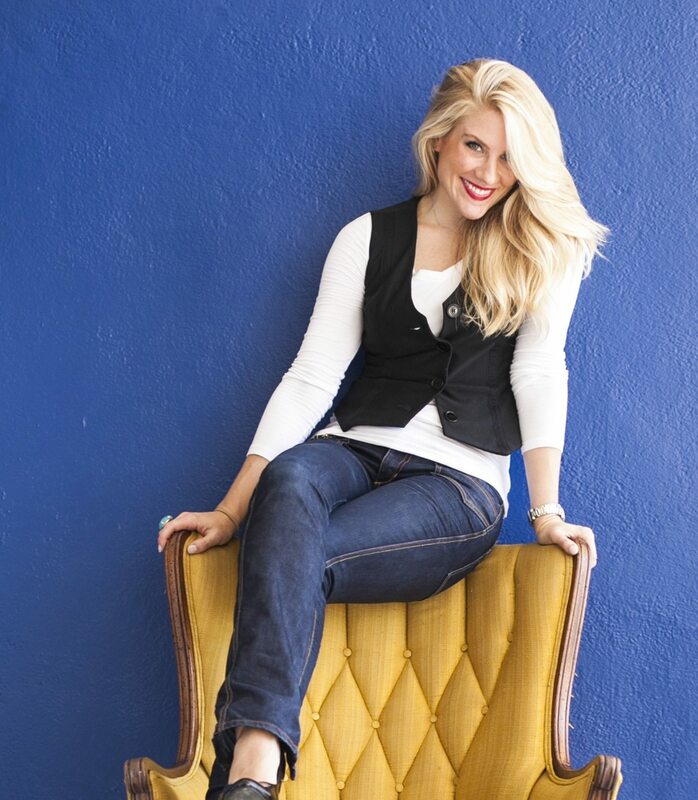 She quickly branched out into her own agency venture which included identity work, and web development for brands that such as Grandby Ranch, PeaceMaker Whiskey, Pura Vida Fitness and Spa, the Denver Broncos, Children’s Hospital Denver, About.com., and most recently LILT Lounge at the Epic Hotel in Miami. Demonstrating her talent beyond print, Jill has also been a design assistant on several HGTV shows, including Designed to Sell, Curb Appeal The Block, and helped with the Rachel Ray SoHo studio space. With Get Ink PR she works closely with the team to strategize for their array of luxury clientele, including restaurant, bar, spa, and wellness retail clients producing new logos and branding to grand openings and product lines. Jill’s eye for detail and incredible talent allow Get Ink to fully service creative needs with in alignment with public relations and social media campaigns. – Get Ink integrates media outreach, creative writing, social media and market research to increase your revenue. 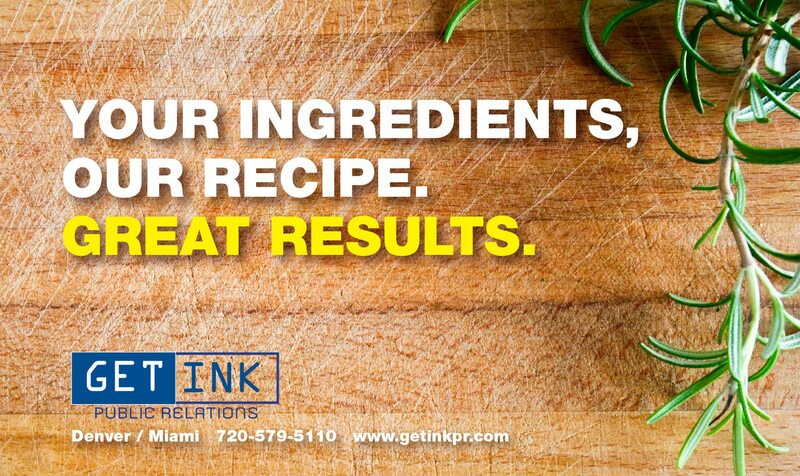 – Get Ink crafts delicious recipes for success as our team is a target audience. – Get Ink team members are passionate about what we do and live at the crossroads of here and now. – Get Ink gives a voice to hospitality clients through strategic marketing and exceptional media results.